Summer is here and what better way to get in the summer mood than wearing my all time favorite trend: Off-Ahoulder! You’ve seen me style tops like this a number of time (summery here or long sleeved here) but none of them was so much fun to first of all wear and second of all shoot, like today’s little striped number. It literally screams summer, sun and holidays. Another perk of course is the fact that it’s made of 100% cotton. When I bought it I instantly feel in love with the material (as you know I love a good cotton clothing). It’s just something about this material that make it so amazing to wear, especially in summer. Cotton USA is the best choice when it comes to clothing with a great wearing comfort. Not many materials are as soft on the skin and thus hypoallergenic as Cotton USA. When wearing cotton you not only look amazing, but you feel great and moreover very comfortable in your skin. And isn’t that what we all want from an outfit? My trousers are also made of cotton and fit just perfectly. I added some black sandals to my double cotton outfit (hehe). Lastly the bold blue shopper perfectly complements my cotton summer look. How do you like the outfit? Have a great Friday and even greater weekend loves! DE: Der Sommer scheint endlich angekommen zu sein und dieses Mal auch bleiben zu wollen! Wie also die Ankunft des Sommers am besten feiern, als die diesjährigen Sommertrends auf die eigene Art zu interpretieren? Ich spreche natürlich vom Off-Shoulder Trend. Unzählige Male war dieser auf dem Blog bisher zu sehen und auch dieser Look wird mit Sicherheit nicht der letzte sein. Von allen Oberteilen mit diesem Schnitt kommt jedoch keines, an das schicke Teil im heutigen Outfit heran. Es macht einfach unheimlich viel Spaß es zu tragen. Aber was ich an diesem Oberteil am tollsten finde, ist der Fakt, dass es aus 100% Baumwolle ist. Wie ihr wisst, bin ich ein großer Fan dieses Materials und gerade im Sommer finde ich es echt toll Baumwolle zu tragen. Am liebsten greife da natürlich zu Cotton USA. Der Komfort beim Tragen von Kleidung aus USA-Baumwolle ist fühlbar: Kaum ein Material ist so angenehm sanft auf der Haut und bietet einen derartig honen und hautfreundlichen Tragekomfort. Man sieht nicht nur gut aus, sondern fühlt sich toll und vor allem wohl in seiner Kleidung. Und das wollen wir doch alle, oder? Auch meine Hose ist aus Baumwolle und sitzt wie angegossen. Zum Double-Cotton-Outfit (hehe) stylte ich ein Paar schwarze Sandalen und gab dem Look einen einen farblichen Akzent mit meinem Shopper in kräftigem Blau. 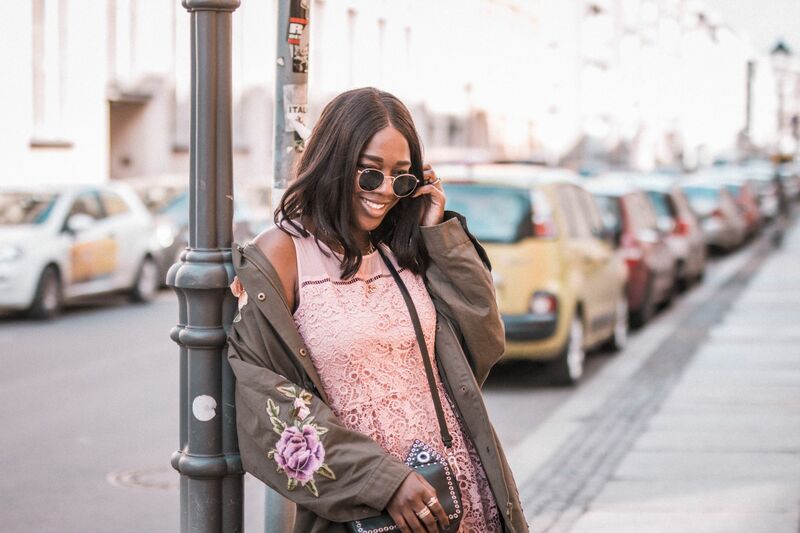 Wie findet ihr dieses Sommeroutfit? Habt einen tollen Freitag und wunderschönes Wetter meine Lieben!